We've been working with new features lately that include some nifty new things. First, I'd like to announce support for native 3D displays and (if you don't have a 3D display, you can use 3D polarizing lenses, which are about 3 dollars on eBay). 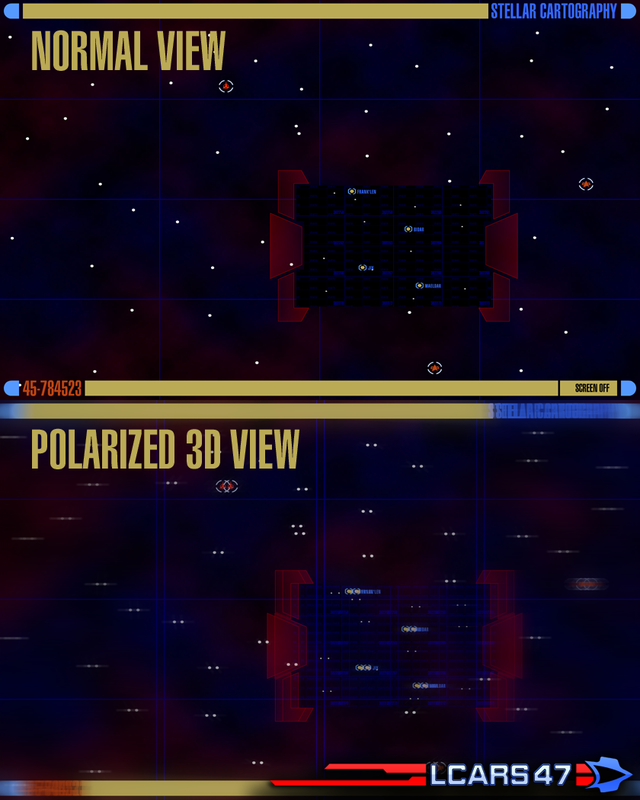 Those of you with projectors that support polarizing light will be able to immerse yourselves in a full 3D environment. 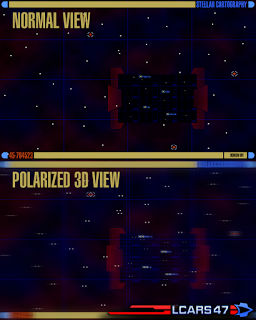 Currently, this has only been added to the Stellar Cartography modules, but so far, it's showing real promise. There's a small demonstration of this, on YouTube, and if you have red/cyan lenses, you should be able to enjoy the rudimentary 3D views.